Green Thumb Florist is a leading, full service florist proudly serving El Sobrante, California and the surrounding area with over 12 years of floral design experience. Our friendly staff is ready to assist you with placing orders for local delivery or anywhere in the world. Let the talented designers at Green Thumb Florist create perfectly beautiful bouquets for all your special occasions… birthdays, speedy recovery, congratulations, anniversary or just because. Not sure what to send? We'll gladly help you with creative suggestions. Let us make all your special days, EXTRA special! 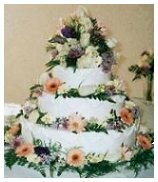 Wedding & Special Event Flowers ~ With Green Thumb Florist designing the flowers, your special occasion is sure to be a “blooming” success! Call us in advance and make your appointment for a consultation with a designer or event coordinator. We specialize in lush presentation bouquets and floral cake decoration! All Occasion Gifts ~ Find the perfect gifts to please all ages at Green Thumb Florist! Our plant care specialists invite you to browse the vast assortment of dish gardens and green and blooming plants we have in stock for a gift that adds life to any room or office. We also offer a variety of appetizing fruit baskets, candy, cuddly plush toys, greeting cards, balloon bouquets and much more! We deliver the freshest flowers and brightest smiles! 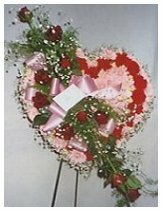 Green Thumb Florist is conveniently located at 1078 Mitchell Way in El Sobrante with delivery to all local hospitals and funeral homes. We are open to serve your floral and gift giving needs: Monday through Friday 7:00 am to 7:00 pm and Saturday 7:00 am to 2:00 pm.